Is it possible to recover lost data from iPhone memory? If you've searched online, you may find lots of data recovery software declaring that they can recover your lost data from various memory cards from mobile phones. Read more carefully, and you'll find that the memory card is always the external memory card, not internal one, especially iPhone internal memory card. Is it possible to recover data from iPhone internal memory card? The answer is YES. How? Read on. First of all, you need to get a right iPhone memory recovery software. There are not many, but there indeed is the kind of software. 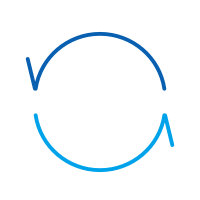 If you don't have an option, here is my recommendation: dr.fone - Recover (iOS). This software allow you to retrieve iPhone memory data by extracting iTunes backup as well as directly scan and recover data from iPhone memory cards. 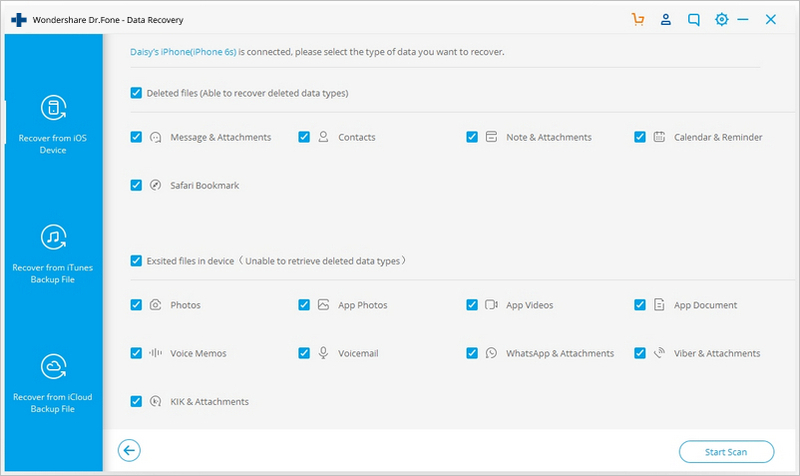 Recover data lost due to deletion,device loss,jailbreak,iOS update,etc. Important: In order to make sure that your lost data can be successfully recovered from iPhone memory, you'd better power off your iPhone and stop using it for anything including receiving calls, messages, etc. Any operation can overwrite your lost data. Run dr.fone on your computer, choose the ‘Recover’ feature and connect your iPhone. Then you'll get the interface below. Choose the file type to scan,then click "Start Scan", the software will automatically scan your iPhone as follows. The scan will take you a while. You are allowed to preview the found data since the first file is found, and stop the scan when you've already got the lost data you want. Then mark those data and click "Recover to Computer" to save them on your computer. Note: Data found in each category includes those deleted recently. You can check them by sliding the button on the top: Only display the deleted items. 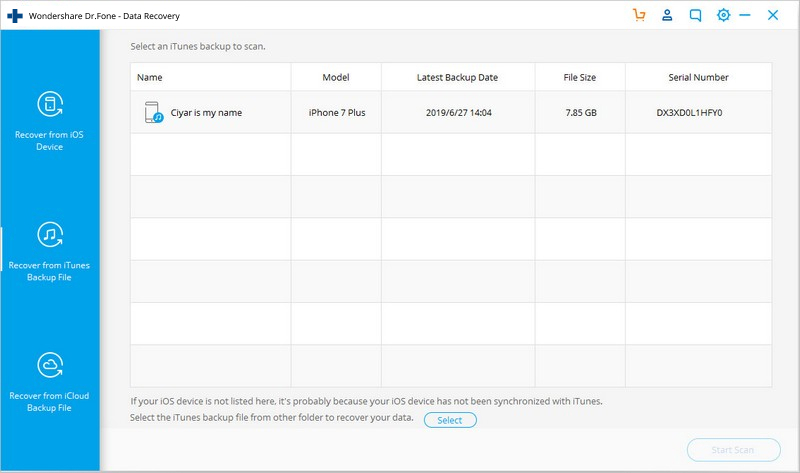 Important: If you want to recover iPhone memory data from iTunes backup, you'd better not sync your iPhone with iTunes after you deleted files, or the iTunes backup will be updated and becomes the same as the current data on your iPhone memory. You'll lost the previous data forever. Both of the dr.fone can let you recover iPhone memory data from iTunes backup. Next, let's check the steps with dr.fone. When launching dr.fone, choose the ‘Recover’ feature, switch to "Recover from iTunes Backup File", then you'll get the interface below. All iTunes backup files for your iOS devices are found and displayed. Choose the one for your iPhone and click "Start Scan" to extract the content. 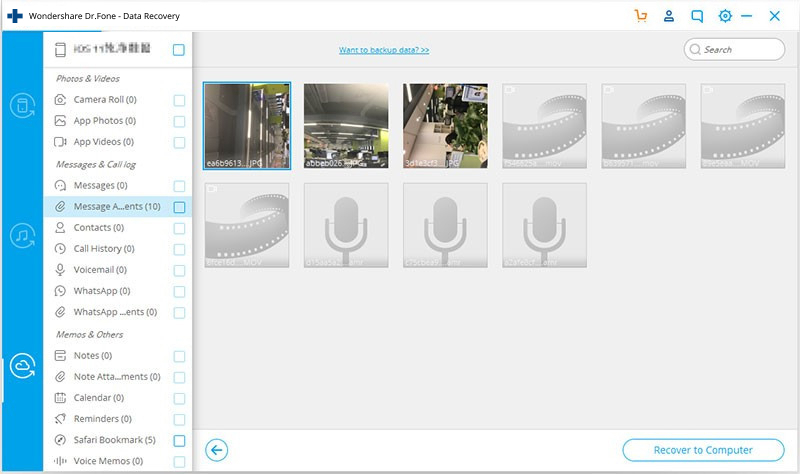 After the scan, you can preview and recover the data you want just as the last step above. 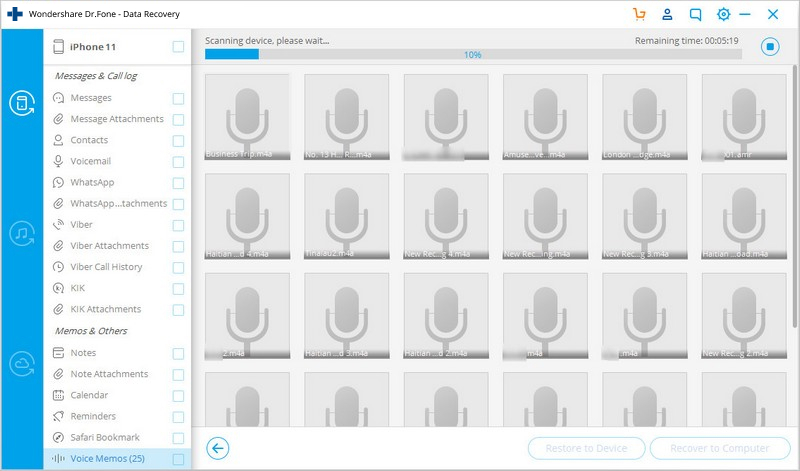 Mark them and click "Recover" to save them all on your computer with one click. In order to prevent important data on your iPhone from losing, it is very important and useful to make an immediate backup. Please remember to make backup regularly. 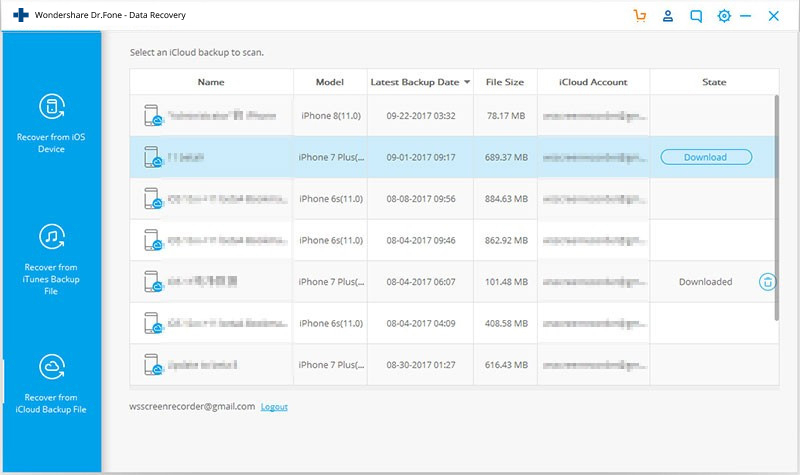 If you have make a iCloud backup before, you also can recover your iPhone memory data from iCloud backup.Then follow the steps below. Run dr.fone and then choose "Recover from iCloud Backup File". 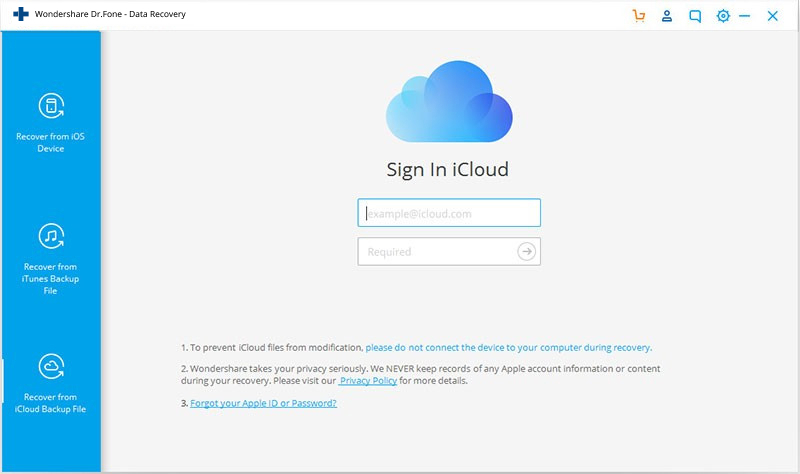 Then enter you iCloud account. after you got in, you will see a list of all your iCloud backup files. Choose the one you want,then click "Download" button. Wait until the downloading is complete. 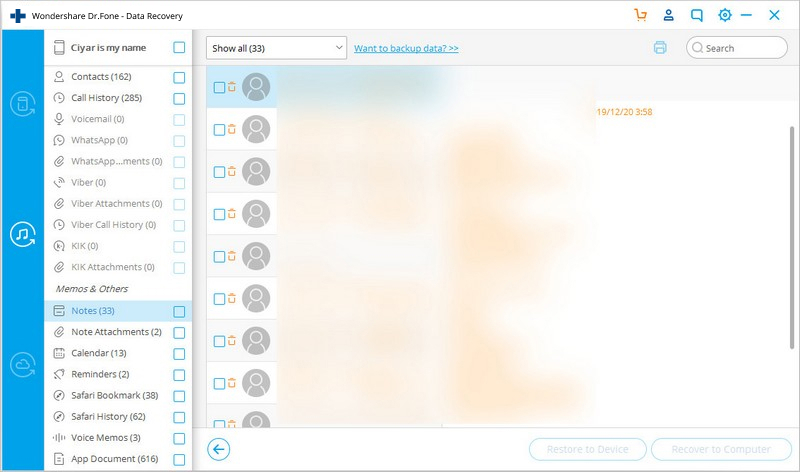 When the scan process is complete, check the data you want and click "Recover to Computer"to save them on your computer. Did you lose some of the files on your iPad? 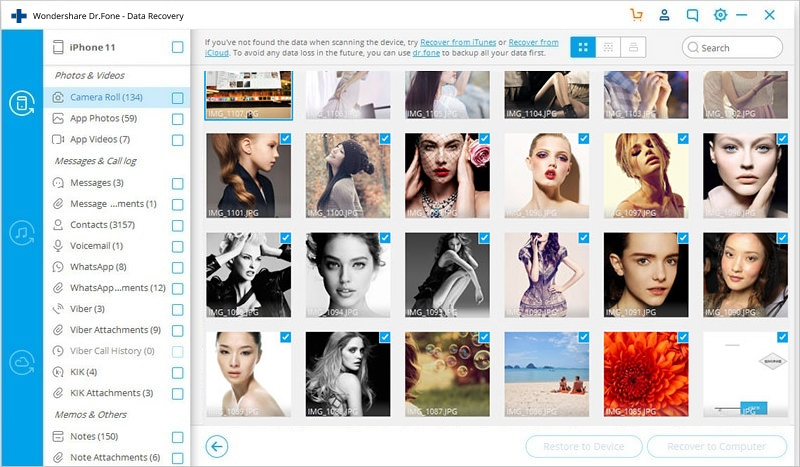 Here's an easy way to recover the lost or deleted files. Is it possible to recover data from broken iPod Touch 4? Sure! This article shows you how to recover data from it in detailed steps. Check in now!